You know that cliche "When God closes one door, he opens another," well that is exactly what happened to me on Monday night. I went to hear a lecture about Brazilian landscape architecture and I learned something about Israeli landscape architecture. In the United States, we've come to expect everyone to speak English and speak it well, especially if they have been invited to give a lecture in the United States. 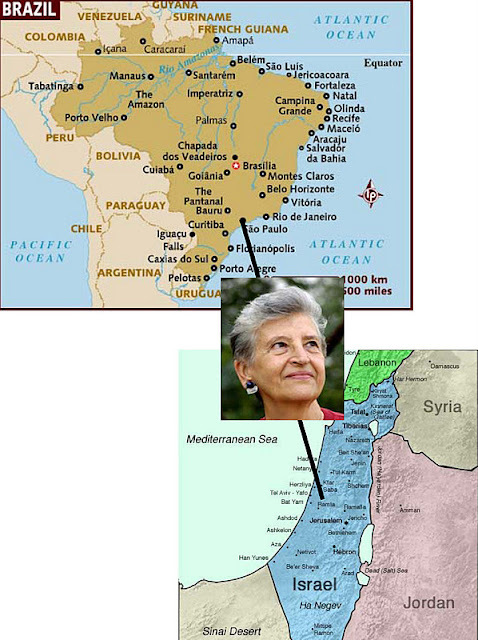 Rosa Kliass, an important Brazilian landscape architect can speak English. It would be fun to talk to her over a cup of coffee, but trying to convey complicated concepts about gardens and environments was very difficult for her. 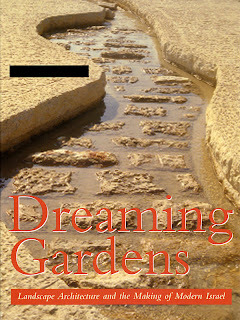 She stuck to the basics: photographs and drawings: of her work and work she admired in Israel. This put a really strange twist on the evening. A talk which seemingly had little content, but big impact. The Valley of the Communities in Yad Yashem is a massive 2.5 ton monument literally dug out natural bedrock. Over 5000 names of communities are engraved on the stone walls in the Valley of Communities. Each name recalls a Jewish community, which existed for hundreds of years, but no longer exists. 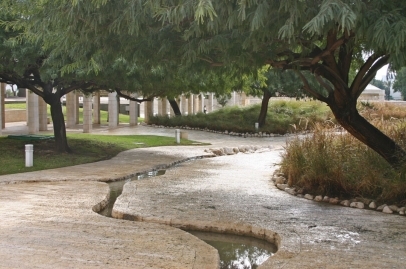 This plaza is heart of all pedestrian circulation in Ben Gurion University, as well as functioning as a welcome to the Unviersity, a meeting point and a place of rest. 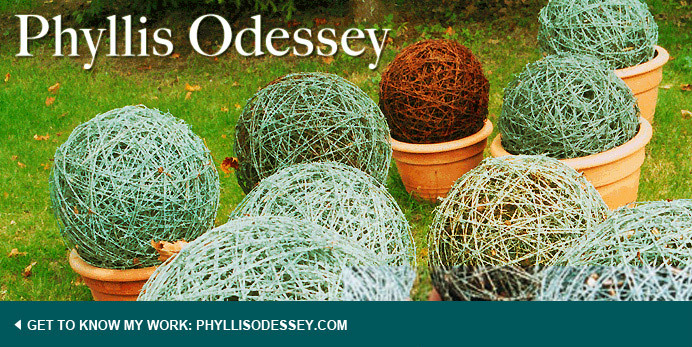 The concept for the garden is the juxtaposition of reason and nature. 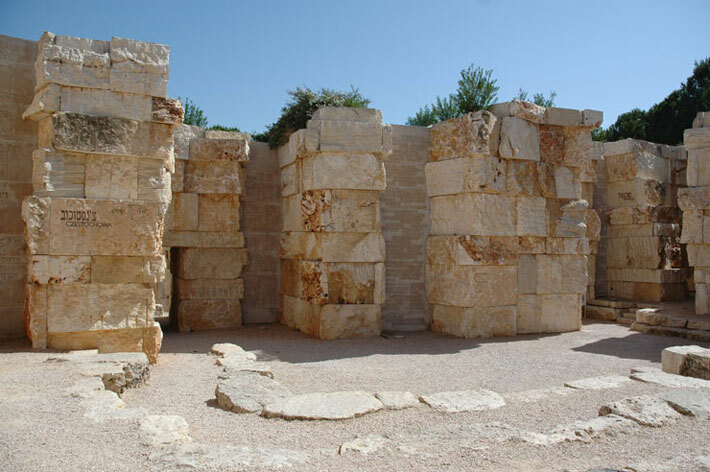 One of the largest rock garden of its kind in the world. It reflects Israel's geological diversity. 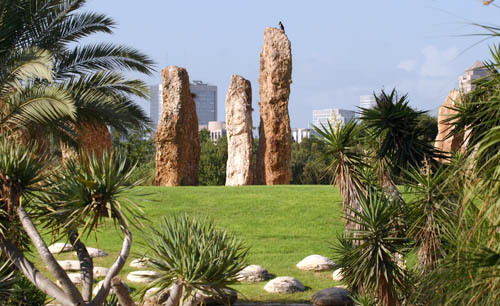 In its 10-acre enclosure the rocks each from a distinctly different part of Israel are surrounded by their native plants. you walk through all of Israel"
The friend, I dragged to this talk, was squirming in his chair the entire time. Over dinner, we discussed the finer points of the evening; I told my companion that I might write a blog about the evening. "What is there to say? It was about nothing. It wasn't her fault she couldn't speak about her work in English. Why didn't they have a translator, it's embarrassing for her and the audience." This was true, except for the part about having something to say. In an old episode of the Jerry Seinfeld show, Jerry and George try to write a TV sitcom. Subsequently, they have a meeting with the prospective producers of the show. JERRY: They say, "What's your show about?" I say, "Northing." JERRY: I think you may have something there. And in the same way, that the entire Jerry Seinfeld show may be about nothing, but actually about something, I found Rosa Kliass' talk actually about something, just not the something I expected. Whose books are always about SOMETHING!